Colonel Dr. Katarina Strbac, director of the Directorate of European Integration and Project Management, explained the legal framework, organizational structure and tasks of the Directorate. Afterwards heads of the groups within the Directorate informed participants on the operational mode and competencies of their units. Mr. Milan Milutinovic, head of the European Integration Group, said that the focus of his group was to coordinate all activities related to the process of accession of Serbia to the European Union, within competences of the Ministry of the Defence and the Serbian Armed Forces. The Group operates in order to establish a centralized system for monitoring activities within the defence system of Serbia, related to the process of European integration. Mrs. Kristina Arsic, head of the Project Management Group, presented the sources of extra-budgetary funding through bilateral donations, the financial support from European Union (IPA Program, Horizon 2020 and TAIEX) and the NATO (Science for Peace and Security Program). As the Directorate is responsible for complete procedure of planning and managing projects, she emphasized the ongoing projects of importance for the defence system. Mrs. Dragana Nemet, head of the Group for Analysis and Administration, presented quantitative data on the donations realized during the period from 2005 to 2014. She said that the Directorate would make a unified database on all donations to the Ministry of Defence and Armed Forces of Serbia. 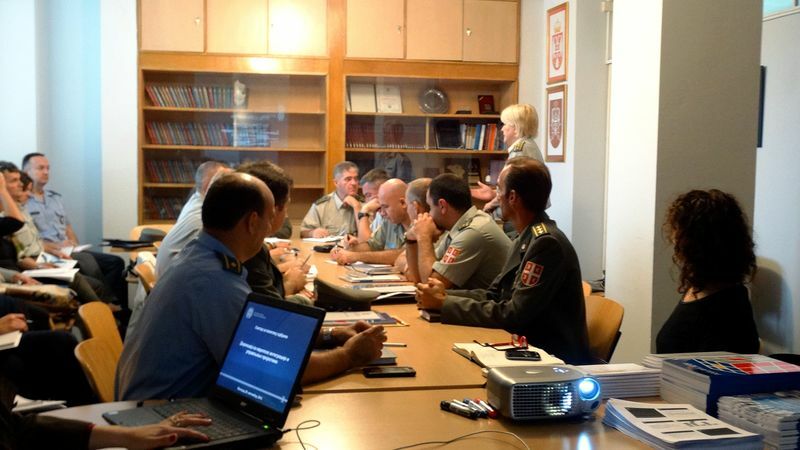 In the final part, the representatives of the Directorate thanked colleagues from the other organizational units for their presence, asking them to come to Directorate with the fresh ideas of projects which could be funded by off-budget funds and improve the process and quality of work in defence system of the Republic of Serbia.